Caterina Tognon collaborates with international artists and designers primarily working with glass. The gallery represents the most influential artists of the Studio Glass movement, and is one of the leading European galleries dedicated to this medium. Caterina Tognon is deeply interested in investigating the cross section between fine art and applied arts. The gallery therefore retains a powerful identity and a recognisable style that has earned it a loyal following. Since its founding, the gallery’s exhibition program has favored solo shows and participates in international art fairs. Caterina Tognon has also organized major exhibitions in collaboration with cultural institutions and museums in Venice, including Museo Correr, Ca’ Rezzonico, and Ca’ Pesaro. The gallery is located two minutes walk by San Marco Square, on a side street of Calle XXII Marzo, in Corte Barozzi, next to The Westin Europa & Regina Hotel. 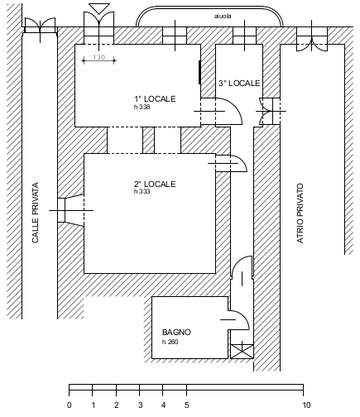 The closest Vaporetto (public boat) station is San Marco - Calle Vallaresso on the line 1 or 2 (3 minutes walk). Established in 1992 in the northern Italian city of Bergamo, Caterina Tognon, originally named D'Arte & Divetro, is owned and directed by Caterina Tognon. In 1998 a second branch of the gallery opened in Venice Campo San Maurizio and in November 2004 Caterina Tognon and her team relocated to the noble floor of the seventeenth-century Palazzo da Ponte in Venice. 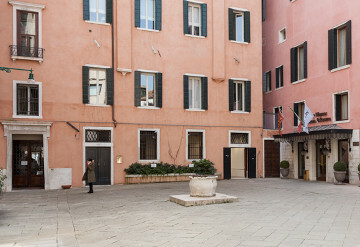 In 2015, the gallery moved to Palazzo Treves, situated in the romantic Corte Barozzi square, two steps away from the San Marco square. Located on the Canal Grande, in front of the Punta della Dogana, a strategic position for maritime trade, the Palazzo Treves is one of the most important palaces of Venitian-romanican architecture. It was built by the Barozzi family in the 12th century. Around 1580 began a process of modernization initiated by Michele Sumachi and continued later on based on a project by Bartolomeo Monopola. In 1828, the entire complex was purchased by the Treves de Bonfili family, a family of Jews and bankers. They enriched the internal rooms, without damaging neither the incomplete and asymmetrical facade nor the ground plan and transforming the edifice into the finest example of neoclassicism in the city. Inside were added an astronomical observatory, the new and large staircase and the beautiful Salone designed and decorated by Giuseppe Borsato to receive two monumental statues by Antonio Canova : Ettore and Aiace.